Arrest of 3 editor-in-chief in Turkey is unacceptable ! 1. Rojava revolution: how deep is the change? URGENT CALL TO TAKE ACTION! UNISON, one of the UK’s largest trade unions serving more than 1.3 million members, held a meeting about Kurds at its annual conference. 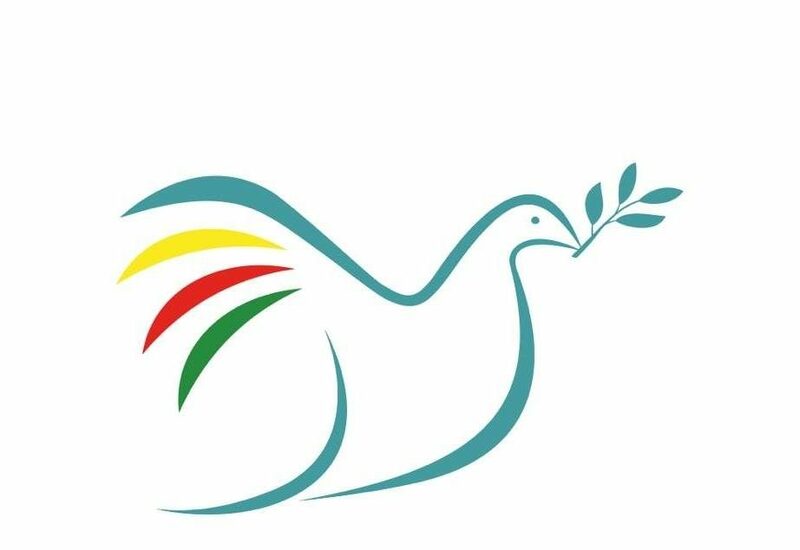 In a leaflet distributed to all delegates attending the meeting, UNISON called Turkey to immediately stop attacks on Kurds, to free Kurdish leader Abdullah Öcalan and return to peace talks. During its annual conference which is being held in the city of Brighton with the participation of hundreds of delegates, UNISON gave particular coverage to the discussion of the Kurdish question on the first day of the four-day conference. The Kurds are obliged to form their security and defense force to protect themselves based on “self defense” in order not to disappear, to stop the genocide and the massacres. Self-defense forces HPC (Hêzên Parastina Cewheri) and it’s women branch HPC-JIN forces formed after the Kobanê massacre are based on this foundation. The women in HPC-JIN spoke to the ANF and expressed that women needed to focus on self defense. In a written statement, MSD condemned the Turkish army’s killing of 11 Syrian civilians including women and children trying to cross the border from Xirbet El-Coz village to Turkey on June 19. MSD called on the UN to launch an investigation on Turkey’s civilian massacres. 5. Arrest of 3 editor-in-chief in Turkey is unacceptable ! The European and International Federations of Journalists (EFJ-IFJ) strongly condemn the arrestation of Şebnem Korur Fincancı (President of Turkey Human Rights Foundation), Erol Önderoğlu (journalist at Bianet and RSF Turkey correspondent) and Ahmet Nesin (journalist and author). Authorities should immediately release and drop all charges against two human rights defenders and a journalist arrested in Istanbul, the Committee to Protect Journalists said today. A court in Istanbul today ordered Erol Önderoğlu, the Turkey representative of the press freedom group Reporters Without Borders (RSF), and two other people arrested on terrorism charges in connection with articles in embattled newspaper Özgür Gündem. Turkey has arrested three activists for their role in a campaign of solidarity with the pro-Kurdish Özgür Gündem newspaper, which was subjected to censorship by the Turkish authorities. The three arrested on Monday are Erol Önderoglu, Turkey’s representative for media watchdog Reporters Sans Frontières (Reporters Without Borders, RSF); Şebnem Korur Financı, president of the Human Rights Foundation of Turkey (HRFT); and journalist and author Ahmet Nesin. MANBIJ, Syria (Kurdistan24) – On Sunday, the Kurdish-led Syrian Democratic Forces (SDF) and their allied brigades of Manbij Military Council (MMC) opened two corridors in the Islamic State’s (IS) stronghold of Manbij freeing thousands of civilians. A Kurdistan24 correspondent embedded with the SDF, Ekrem Salih, reported that at least ten thousand civilians escaped Manbij in the afternoon through corridors in the east and southeast. Radical group of the Islamic State (ISIS) launched an arrest campaign in northern Syria, and captured more than 700 civilians of mostly Kurds, local sources reported on Monday. ISIS jihadis have broken into several villages in the countryside of Jarablus, Azaz and al-Bab in the northern Aleppo province, and arrested hundreds of civilians, most of them were reportedly from the Kurdish community in the area. Sulaimaniyah: Belting out an emotional song in honour of Kurdish military forces under a full moon, Syrian refugee Mizzgin Rumi’s shyness transformed to confidence as he captivated his audience. The Patriotic Union of Kurdistan (PUK) and Change Movement (Gorran) established a joint list in the Kurdistan Parliament on Tuesday in order to target their objectives and overcome the political crises have been striking the region for about year. This is the obvious question to ask – but an extremely difficult one to answer, especially when the situation is as fluid as it is in Rojava. All the women I interviewed while I was there talked about how deeply embedded patriarchy was in their social fabric, how the revolution had made a start in all the ways that I have described in this six-part series on Witnessing the Revolution in Rojava, and yet gave no concrete examples of the ways in which it continued to plague their lives. Left Unity is an internationalist party that puts solidarity with peo-ple in struggle at the heart of its work. We see the problems that we face in Britain – like austerity, racism and war – as global, systemic problems, not ones we can deal with on a national basis. So we actively work to build links, across Europe and beyond, with progressive, left parties and movements to fight for an alternative and build a better world. As part of the European Left Party we have a good basis from which to act. Since the start of civilization, rivers have defined the region we now call the Middle East. Mesopotamia, part of the Fertile Crescent situated between the Tigris and Euphrates, was home to many of the great empires of old. But over time these ancient societies rose and fell, and the borders between them blurred. A century ago those borders were redrawn entirely, altered to meet the political objectives of the Sykes-Picot Agreement. The boundaries laid down by the West ignored ethnic distribution and geography, contributing to the chaos that would come to define the Middle East for the next 100 years. 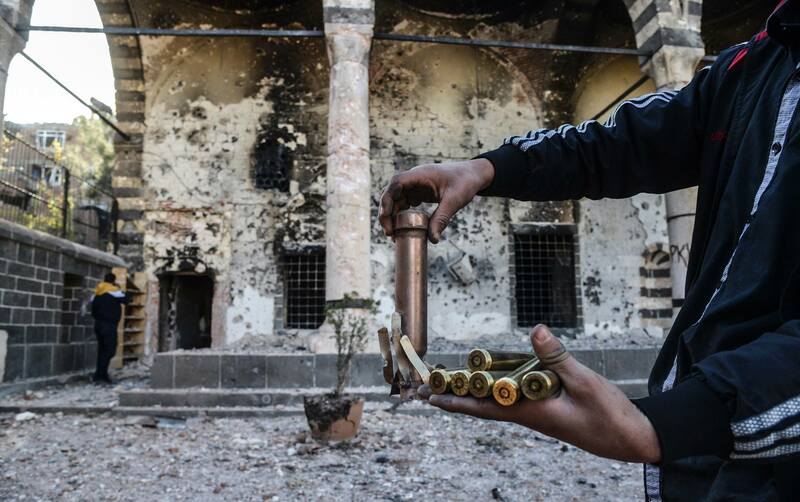 One of the biggest casualties of that chaos was the Kurdish state. 4. A Peace Plan for Syria—and for Kurds? James Dobbins, Philip Gordon, and Jeffery Martini, ranking members of Rand Corporation and former State Department officials, have authored another study advocating polices that the U.S. should pursue to obtain some kind of peace in Syria. Given the distinguished service that all three authors have rendered, their peace plan for Syria deserves serious consideration. This volume contains 13 essays, written by a group of distinguished scholars, on the most important issues facing the Kurds today. Subjects covered include politics, economics, ISIS, and number of issues that will be of interest to scholars, practitioners, and the intelligent lay public. Moreover, in delving into the nuances of such themes as ethno-nationalist origins, self-determination, US-KRG relations, democratic autonomy, ISIS, Kobane, the Kurdish Diaspora, Ataturk and Bourguiba, among others, these essays will definitely stand the test of time. With every beheading, crucifixion and execution, Judeo-Christian civilization is under assault. Nowhere is this more apparent than in the Middle East, where non-Muslims who encounter the rapid advance of the Islamic State face a cruel choice: confrontation, subjugation, or annihilation. Since the Justice and Development Party (AKP) took power in 2002, Turkey has had six education ministers, each of whom made major changes to the education system, some argue to turn students into guinea pigs. The most significant change, bulldozed through parliament amid fistfights and protests in March 2012, expanded the imam-hatip religious schools and introduced Quranic studies and the life of the Prophet Muhammad as elective courses in public schools, among other changes. The opposition has long decried the Islamization of education, while President Recep Tayyip Erdogan has insisted on raising a “devout generation,” lauding imam-hatip schools, which train Muslim clergy and offer extensive Quranic studies. President Recep Tayyip Erdogan and Binali Yildirim, his new handpicked prime minister, aren’t ready to concede any mistakes in foreign policy, but appear determined to rescue Turkey from its increasing political and diplomatic isolation in the international arena. The familiar picture of a war zone: Houses destroyed by rockets and cannon fire; injured civilians who have bled to death for lack of medical help; civilians turned into refugees in their own country, dead bodies of opposition fighters dragged behind tanks or exposed naked on the streets… Only, this is not a description of Aleppo in Syria or Mosul in Iraq. It is of Turkey, a member of NATO, an EU accession candidate and a strategic partner of Germany. Political prisoners held in the Women’s Ward at Iran’s Evin Prison are routinely denied medical care and hospitalization, face severely restricted or denied visitation rights even with their young children, are deprived of regular telephone contact with their families, and are not provided adequate nutrition, according to a report released today by the International Campaign for Human Rights in Iran. Left Unity is an internationalist party that puts solidarity with peo-ple in struggle at the heart of its work. We see the problems thatwe face in Britain like austerity, racism and war as global,systemic problems, not ones we can deal with on a national ba-sis. So we actively work to build links, across Europe and be-yond, with progressive, left parties and movements to fight for analternative and build a better world. As part of the European Left Party we have a good basis from which to act. We, the undersigned call upon you to exercise your executive authority to permit the Kurdish Women’s Relation Office (REPAK) in Erbil to reopen in order to continue its legitimate activities which are entirely in accord with the law. On 5 May 2016 the REPAK premises in the city were raided and closed by the Asayish Security Forces of the Kurdistan Regional Government. Staff were detained, their identity papers and mobile telephones were taken from them. They were bundled into security vehicles to be driven and expelled outside the city and told that they would not be allowed to return. The REPAK offices remain closed. No explanation was offered for these alarming actions. This measure is totally undemocratic and without any legal basis whatever. It obstructs the vital work needed to support Kurdish women in the Middle East. 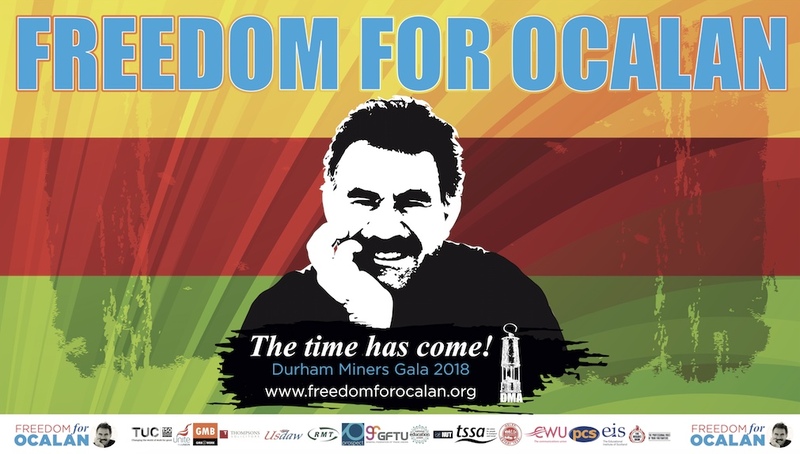 Four years ago (25 June 2012), Kurdish activists and friends of the Kurdish people from across Europe began a Permanent Vigil in front of the Council of Europe in Strasbourg, calling for the freedom of Kurdish leader Abdullah OCALAN and other political prisoners in Turkey. The Kurds and their supporters have decided to continue this Permanent Vigil until Mr Abdullah OCALAN is released. On 20 May 2016, the Grand National Assembly of Turkey (GNAT) lifted the parliamentary immunity of 138 lawmakers through a provisional Constitutional amendment. This became possible with the joint efforts of an anti-Kurdish nationalist alliance formed among the ruling AKP and the Nationalist Movement Party (MHP). The Republican People Party (CHP), a member of the Socialist International, also joined these efforts and voted in support of the bill while declaring it anti-constitutional in an attempt to demonstrate that the party is not siding with HDP, which has been subject of nationalist violence since June 2015 elections as well as state repression. As we informed you yesterday, an investigation was issued against them on suspicion of making terrorist propaganda after they had participated in a solidarity campaign in support of Ozgur Gundem, which is subject to multiple investigations and lawsuits. On 20 June 2016, they testified before Terror and Organized Crime Prosecutor in Istanbul Courthouse in Çağlayan and they were sent to 1st Magistrate Judge for their arrest. The court issued arrest on charges of “making terror propaganda” through content and visual of news of Özgür Gündem when they served as the editors-in-chief of daily for one day as a part of the campaign. After court decision, Ms. Fincancı was sent to Bakırköy Women Closed Prison and Mr. Önderoğlu and Nesin were sent to Metris Prison on 20 June 2016. Roj Women Assemble, cordially invites you to it’s 13th Zilan Kurdish Women Festival! The Women‘s festival will take place on 25 & 26 June 2016 in London. Join us, join us, dance, attend the discussion and concert, and enjoy much more Kurdish culture by women! « HDP Campaign against lifting parliamentary immunity.